Chocolate Espresso Shortbread Cookies are buttery shortbread cookies with an intense chocolate flavor complemented by dark espresso grounds. Dunk them in milk and you’ll have the perfect afternoon treat. This post has been sponsored by Horizon®. All thoughts and opinions are my own. If you’ve been following along on the blog for a while, you know shortbread cookies are my weakness. 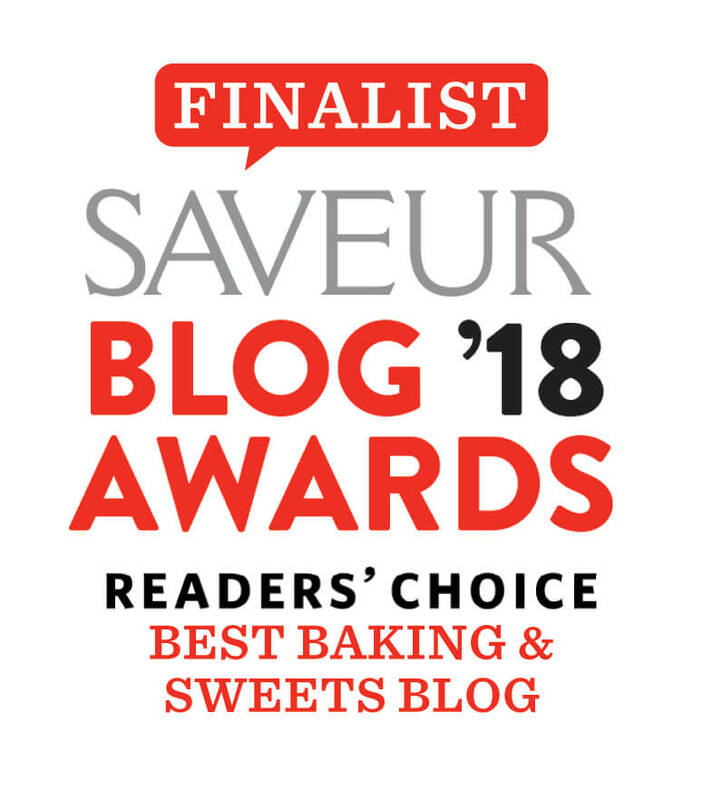 When I was working in Hawaii, I was introduced to all different fun flavors of shortbread cookies, like Chocolate Chip Macadamia Nut Shortbread Cookies and Matcha Green Tea Shortbread Cookies. I can’t stop myself from dreaming up one after another once I’m home. My latest are these intense Chocolate Espresso Shortbread Cookies. 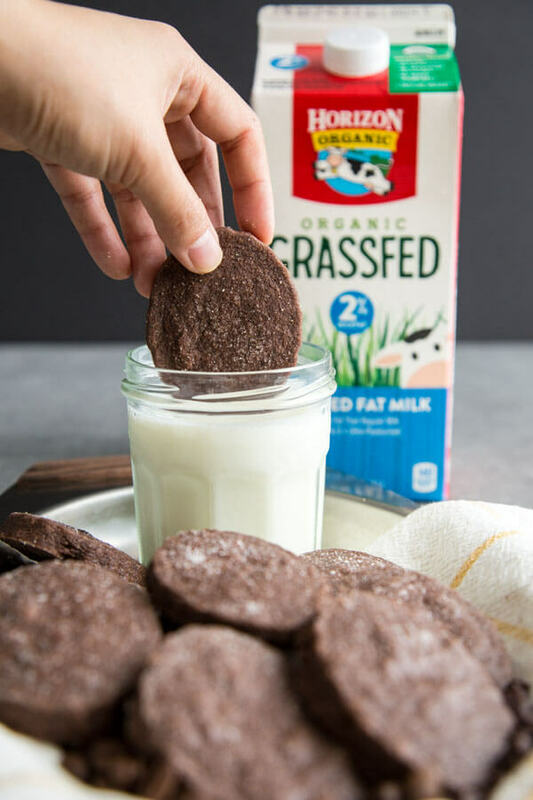 And trust me, nothing beats dunking these into a glass of creamy Horizon® Grass-Fed Milk. I’ve always been a big fan of Horizon milk; I just love that refreshingly creamy taste. So when I found out my local Vons was going to start carrying Horizon grass-fed milk, I couldn’t wait to try. I already knew beforehand that I was going to get a quality product with the same delicious taste that I’ve come to expect from every carton of milk from Horizon. It makes dunking these cookies so satisfying—soaking up all that creamy milk made by happy cows, yum! Like all shortbread cookies, these start with a base of butter creamed with sugar and a splash of pure vanilla extract. The cocoa powder and espresso ground are mixed with the flour and salt and added to the creamed butter. This forms your cookie dough, which needs to be refrigerated for a short time before getting rolled out. Which type of cocoa powder to use? 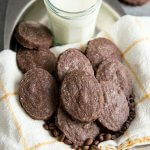 For this recipe, I used dutch processed cocoa powder. It yields a more intense chocolate flavor and darker color than natural cocoa powder. You can use natural cocoa powder if that’s what you have on hand. But just be aware that the taste will be milder, more suitable for something like these Chocolate Macadamia Nut Shortbread Cookies—which go well with the creamy macadamia nut flavor. Can you use raw coffee? If you have a coffee grinder, set it to the finest setting and grind your beans. The finer your coffee ground, the less detectable, the granules since coffee grounds don’t dissolve. 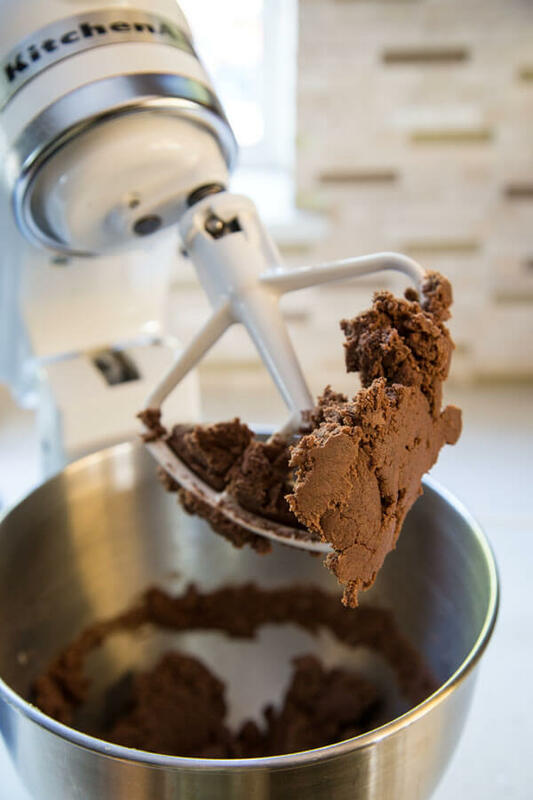 If you don’t own an espresso machine or a coffee grinder, you can still add regular ground coffee to the cookie dough. It’s perfectly fine to eat coffee grinds. Just note that you may be able to taste the granules. And if all else fails, instant espresso powder will also work. The same quantity will give a milder coffee flavor, not as intense as coffee grounds. Instant espresso powder is made to dissolve in liquid so when mixed into the cookie dough, you won’t be able to pick it out at all. 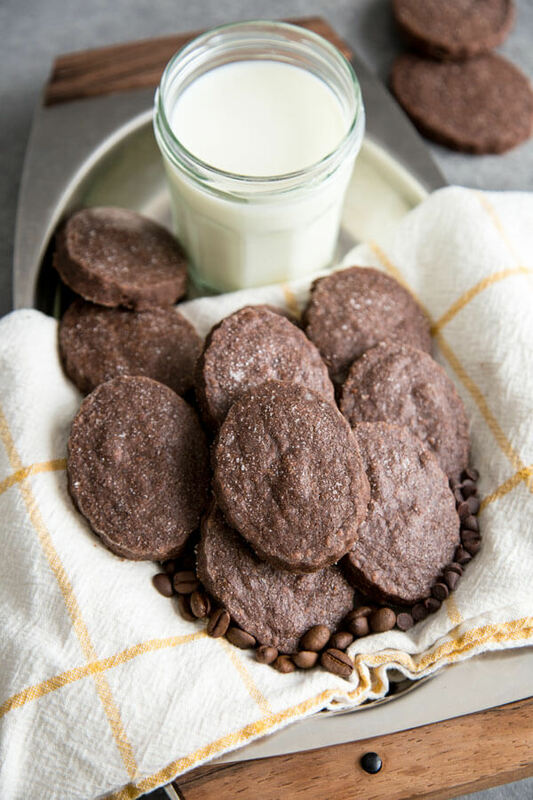 So while you’re at it, pick up a carton of Horizon Organic Milk to dunk these Chocolate Espresso Shortbread Cookies in or to make yourself a cup of creamy cappuccino to enjoy with your freshly baked cookies. 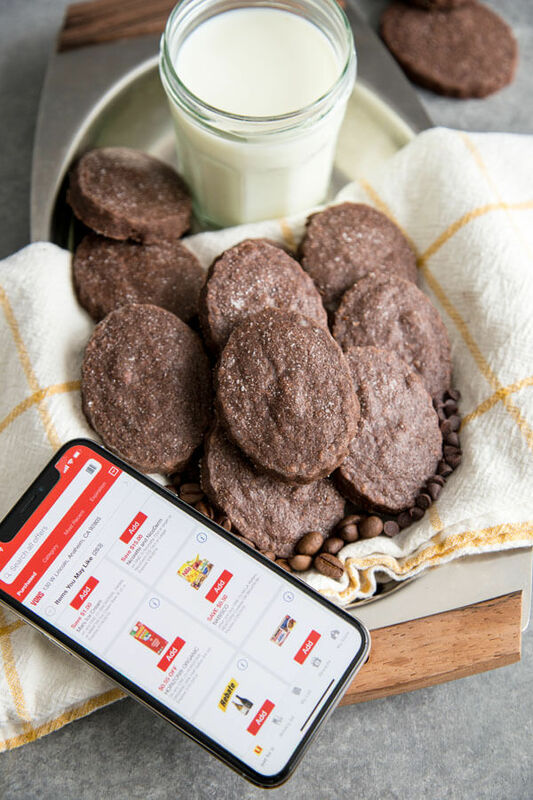 You can even download the Vons app and find a coupon to try out the Horizon® Grass-Fed Milk for yourself. Enjoy! 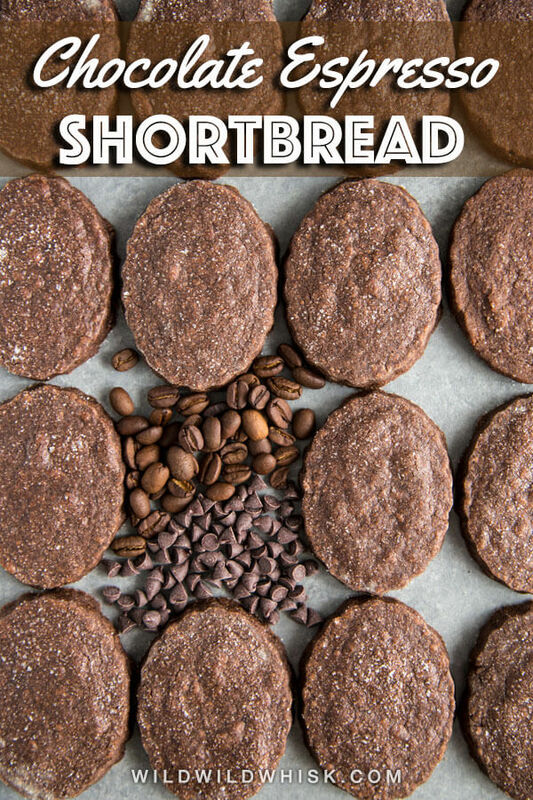 Chocolate Espresso Shortbread Cookies are buttery shortbread cookies with an intense chocolate flavor complement by dark espresso ground. Dunk them in milk and you’ll have the perfect afternoon treat. 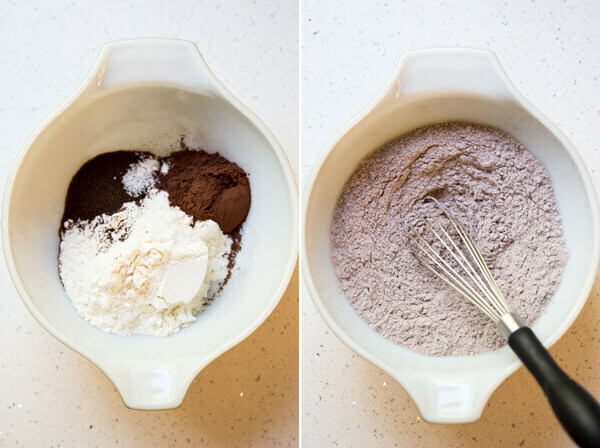 Add flour, salt, cocoa powder and espresso ground into a small mixing bowl, mix well to distribute thoroughly. Set aside. 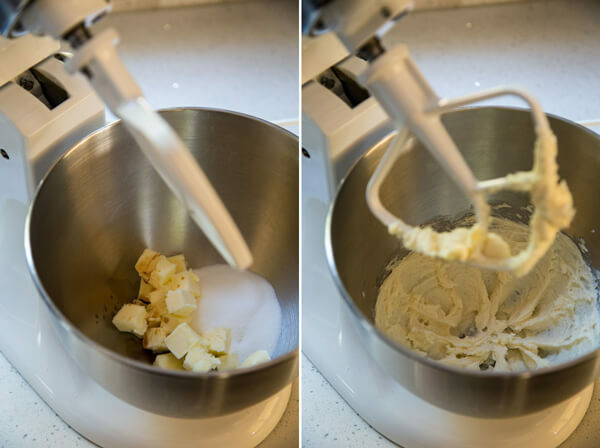 Add sugar, soften butter and vanilla extract to the stand mixer bowl and beat with the paddle attachment at medium low speed until combined. 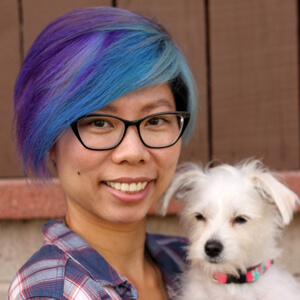 Increase speed to medium and beat until fluffy, about 30 seconds to 1 minute. Reduce mixer to low speed, and slowly add the flour mixture. Gradually increase mixer speed to medium and mix until dough comes together. It should pull away from the side of the mixing bowl. Turn dough out onto a lightly floured board or counter top, and shape into a disk or rectangle. 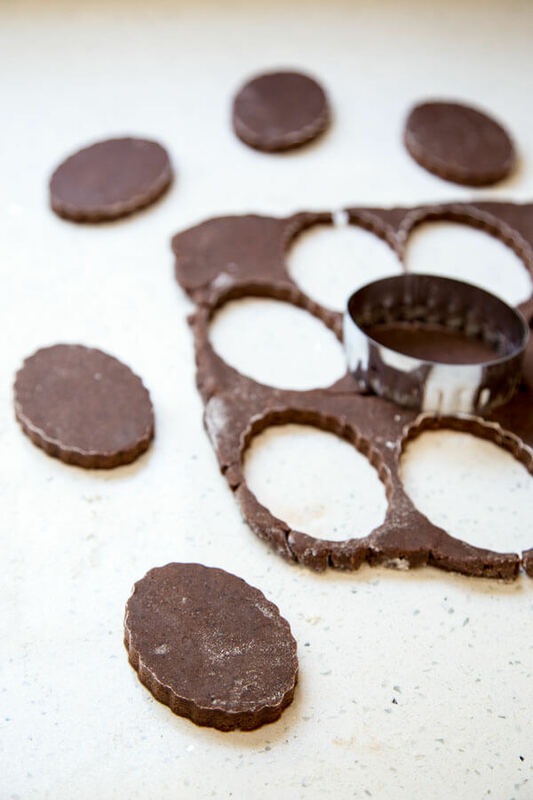 Roll dough to about 1/4” thick and cut out cookies with desired cookie cutter. Re-roll the scrap dough and cut out more cookies until finished. A 2” cookie cutter will make a dozen cookies. Place the cookies in a container in layers, with parchment paper in between, and freeze for 30 minutes to 1 hour. If your freezer is large enough to accommodate a baking sheet, arrange the cookies on a parchment lined baking sheet and freeze. When the oven is ready, place cookies on a parchment line baking sheet an inch or two apart if frozen in a container, sprinkle granulated sugar over the top of cookies generously and bake for 16 minutes. Remove from the oven, let rest on the baking sheet for 5 minutes, transfer to a wire rack to cool completely. Natural cocoa powder can be used but will not give the same intense chocolate flavor or color. Dutch processed cocoa powder is highly recommended. I used fine espresso ground from my espresso maker pod, the fine ground blend right in without leaving any coffee ground texture in the cookies. Regular coffee ground can be substituted but you may be able to detect them when eating the cookies. 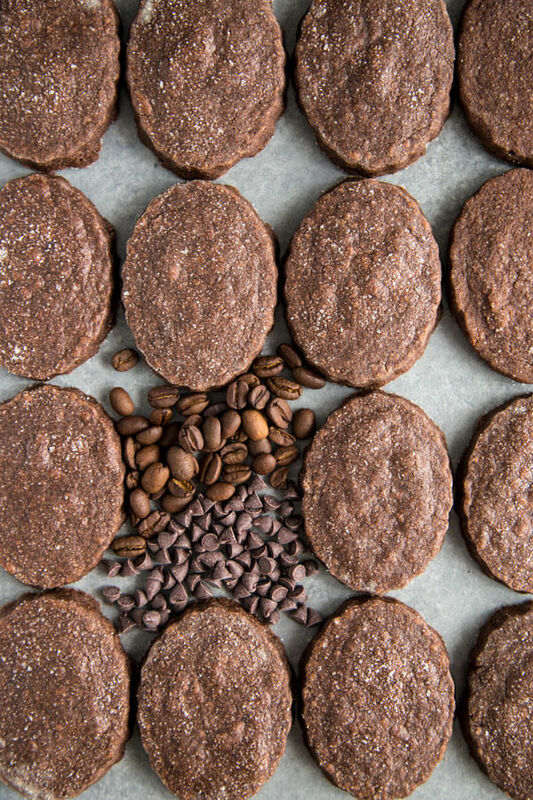 Another option to infuse coffee flavor in to these cookies is instant espresso powder, but the same amount will give a very subtle coffee flavor. perfect combo – shortbread cookies made with espresso!